The University of Nebraska was looking for a way to increase buzz about their new Intramural Sports programs on campus. 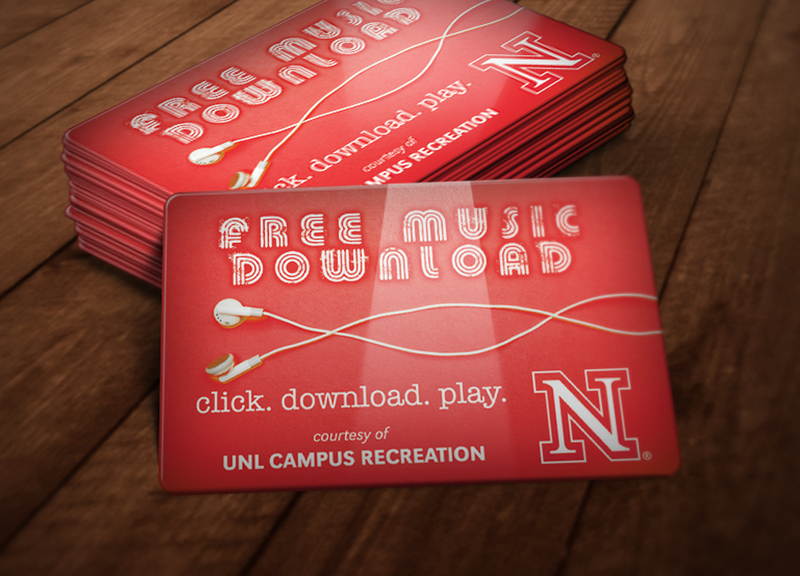 To capture the attention of their students, the Campus Recreation Department passed out Music Download Cards to everyone on campus. On the back of each card, instructions drove students online to a customized website for the University. When the students entered the site they were asked their level of interest in intramural sports. 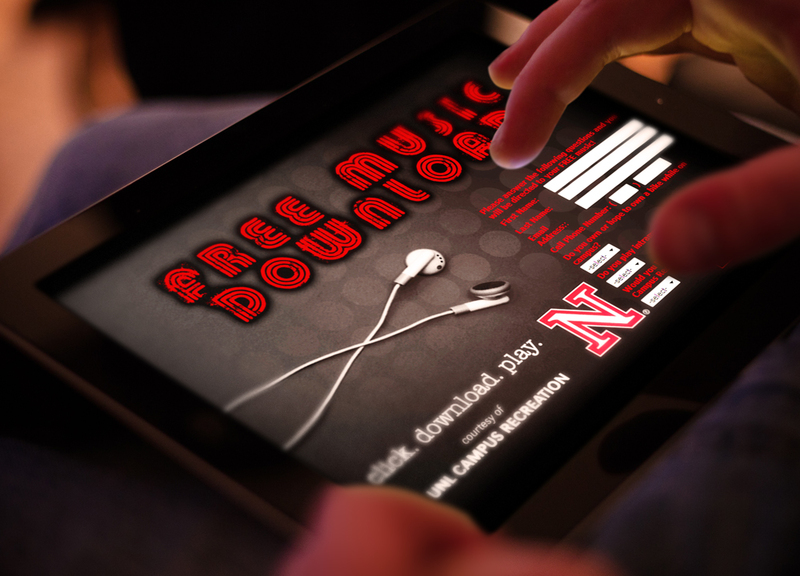 Once the questions were answered, each recipient was able to redeem their FREE Music Download. With the information gathered, the Recreations Department was able to gauge the future success of their new intramural program. A complimentary Music Download was the perfect reward for grabbing the attention of the students and generating a buzz for the new intramural program.